Item # 304643 Stash Points: 2,397 (?) This is the number of points you get in The Zumiez Stash for purchasing this item. Stash points are redeemable for exclusive rewards only available to Zumiez Stash members. To redeem your points check out the rewards catalog on thestash.zumiez.com. 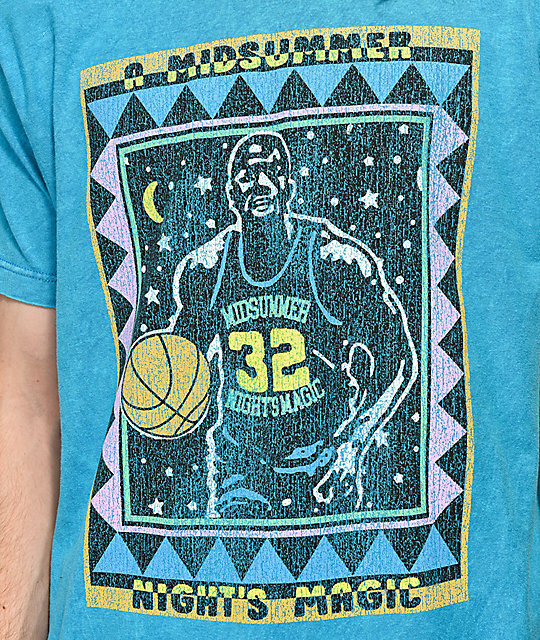 Whether you're a die hard basketball fan or merely seeking premium screen printed apparel, Cross Colours has got you covered with their Midnight Magic Turquoise Acid Washed T-Shirt. 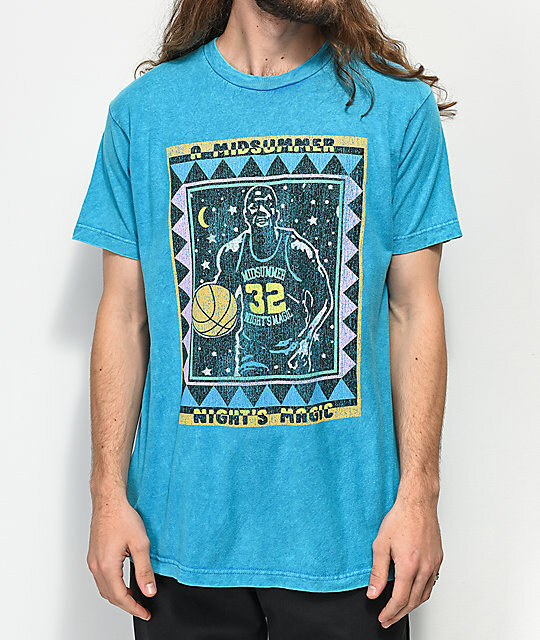 Featured with a blue washed construction and a large graphic of Magic Johnson's silhouette surrounded by a '90s-inspired print pattern. 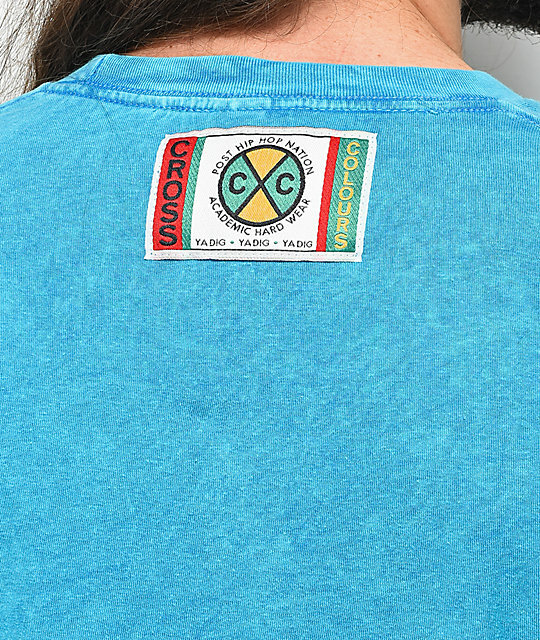 Midnight Magic Turquoise Acid Washed T-Shirt from Cross Colours. Blue acid washed design throughout. Unique washed treatment used, color and design may vary. Embroidered logo patch on upper back.